Hey Potential Grads! The time for graduation pictures draws ever closer. 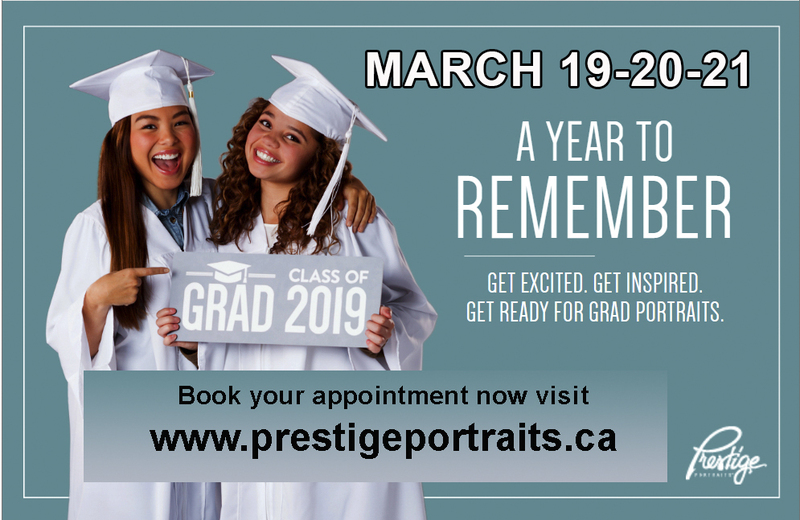 Head over to Prestige Portraits to make your appointment, and remember to bring your biggest smile on March 19/20/21!